Bullying - a big word in education and parenting, is often talked about from the perspective of the victim. Rarely do we focus on the other side. What if it’s your child that is the bully? As educators, we often have to tell parents that their child is the instigator of problems. It’s never an easy conversation, understandably, and is often faced with resistance. The armor goes up as parents feel the instant need to defend their child. As a parent myself, I appreciate and understand the natural need to do so, however, this approach and attitude isn’t productive. It only perpetuates the problem and prolongs our lack of understanding of the underlying issues. In over a decade of teaching, I have often had to broach the subject with parents, and more often than not, the outcome is the same. No one wants to hear that their child is the bully. Unfortunately, now that bullying has become such a widespread problem in schools around the world, parents need to start listening, and work with teachers to address the issues. In the US, one in four kids are bullied at school, and these numbers don’t appear to be changing any time soon. In most cases, teachers or the school administration is blamed for the incidents, especially when the situation becomes serious. According to reports, 85% percent of bullying cases fall through the cracks without the proper attention of the school staff. But, what about the situations where teachers are actively involved in resolving the incidents of bullying? This is where it becomes complicated. Everyone is trying to raise kind, thoughtful and responsible children, and no one wants to raise their child to be a bully, but the reality may be quite different. Your child might just be that child. Although this behavior isn’t necessarily reflective of your parenting, it still causes many people to rush to their child’s defense. Protecting our own is innate, but it is important to look beyond that and determine the cause of a child’s aggression. We must audit all aspects of our child’s life and our own. It is critical that we look inward and ask ourselves the hard question, what type of role model are we being for our children? We must listen when someone is alerting us to things that may be troubling our young, impressionable little people. There may be several reasons why your child may be lashing out with anger and frustration that leads to incidents of bullying. It could be a situation at home or school that is causing them anxiety or may be behavior they have learnt from someone acting towards them in a similar manner. Once you have taken the time to understand the situation, talk to them. Make them aware of what they’re doing and educate them on the effect their behavior has, both on themselves and others. Children often don’t understand the impact of their actions and need the guidance to realize that what they are doing is hurtful and will alienate them from others. Another thing to keep in mind is that bullies often possess leadership qualities that need to be channeled appropriately. Always keep the lines of communication between you and your child open and look out for the signs. When and if your child’s teacher is trying to tell you something, please listen. This may allow you to intercept something before it spirals out of control or may help your child develop an aspect of their personality and potential that may otherwise have gone untapped. 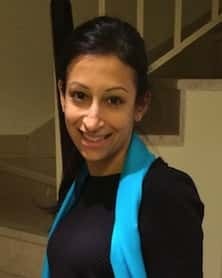 Ritu Kumar is an elementary school teacher with over a decade of experience in international schools, with a particular focus and passion for literacy. Since becoming a parent, she loves using her background as an educator to think of creative ways to entertain her toddler.